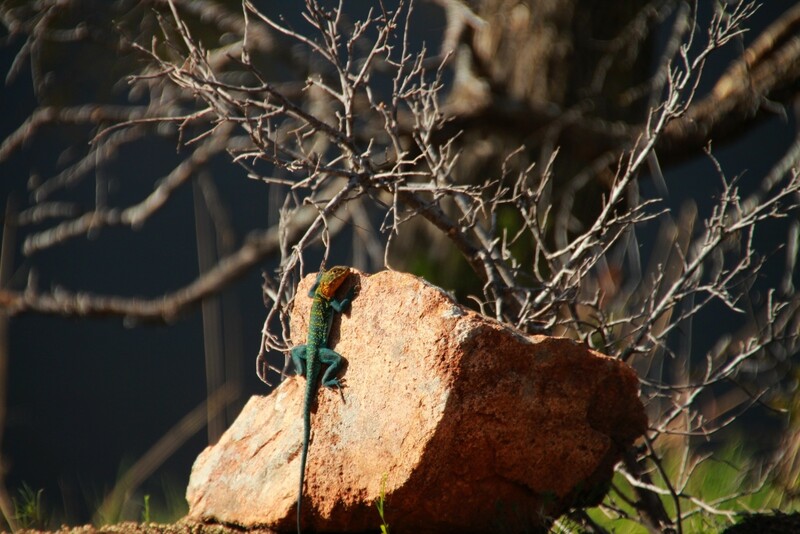 2013-05-05 This eastern collared lizard looked like he was ready to do some chin-ups on this rock. However, we only saw him sitting here catching some rays near French Lake. Wichita Mountain Wildlife Refuge, Oklahoma.